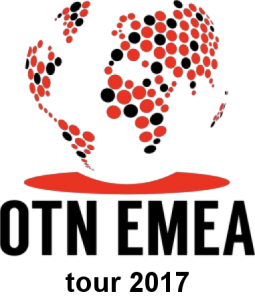 Local Oracle User Groups from the EMEA region are cooperating for the fourth year in a row to organize a tour of the region. The OTN EMEA Tour brings a star-studded cast, consisting of some of the world’s best Oracle ACEs, ACE Directors and Rock Star Speakers to the region. Azerbaijan Oracle User Group (AZEROUG) also joined EMEA Tour since last year (2016). 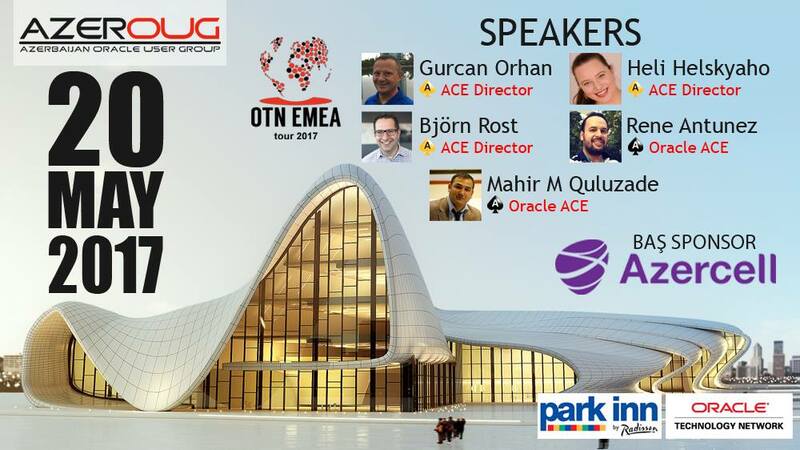 This year also will be organize OTN EMEA Tour 2017 Baku (20th, May 2017). 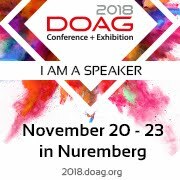 I'm speaking at OTN EMEA Tour 2017 Baku, my topic is New Features of Oracle Database 12c Release 2 for DBAs and Developers. See you at event soon.